Beauty school student in a monochrome & minimalist streetwear style with maxi coat, mandarin collar top, wide leg pants and platform sneakers in Harajuku. 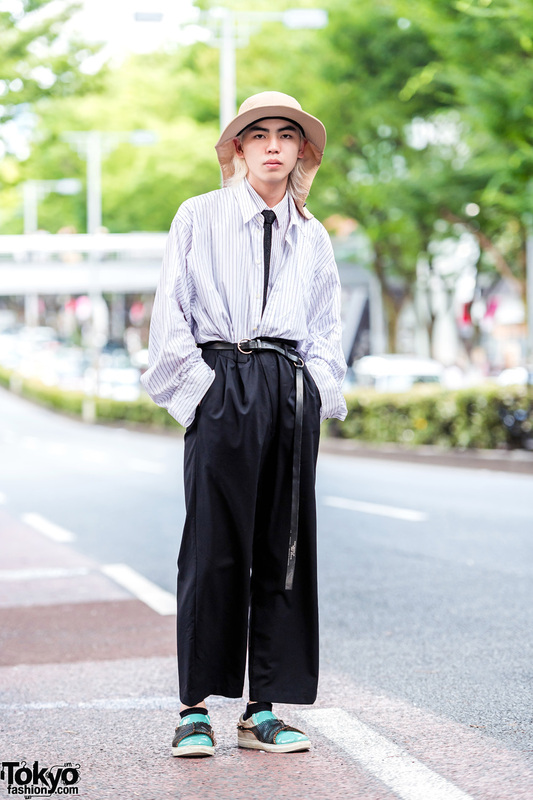 Beauty school student showcasing a monochrome street style with mint shoes and tan trapper hat on the Harajuku street. Harajuku girl sporting a black and yellow street style with items by Japanese labels Undercover and Mihara Yasuhiro. Japanese students in casual-cool streetwear while out in Harajuku. Harajuku girl sporting purple hair and a retro vintage street style while out on the street. Japanese fashion & runway model sporting a chic minimalist look while out on the street in Harajuku. Harajuku freelancer sporting an artsy vintage hand-me-down outfit while out on the street. 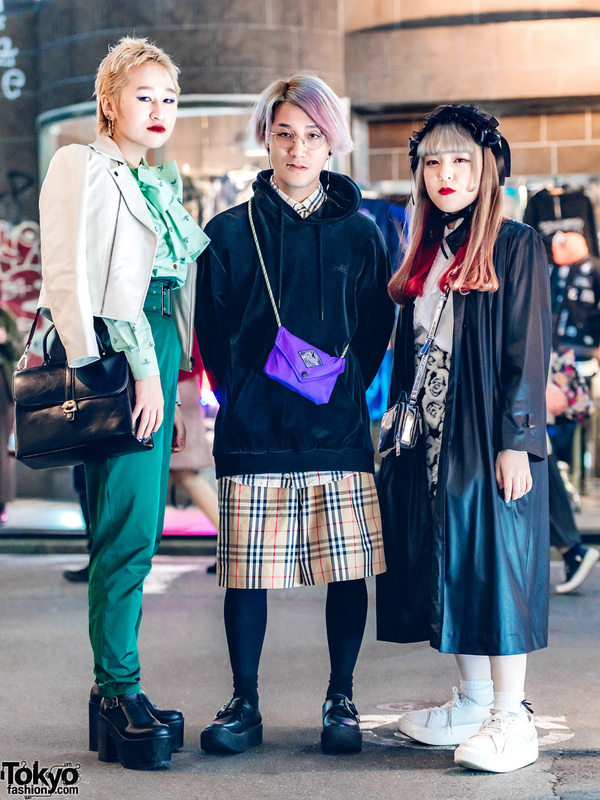 Japanese trio in sleek and posh streetwear styles while out and about the Harajuku street at night.